A Retail display standee is widely used in stores and outdoor marketing. In essence, the goal is to get people’s attention and draw them into your store, shelf, or booth. 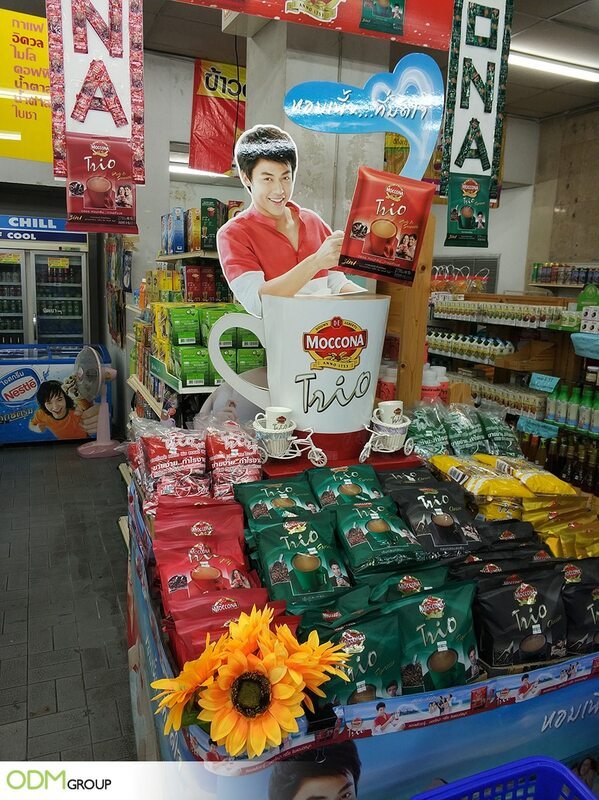 Check out how Moccona coffee trio optimized their exposure with a unique cutout standee in their recent promo run in Thailand. We can see from the picture that the custom standee features their model with a cup of coffee in hand and a huge coffee cup replica which is very remarkable. What to consider in setting up retail display standee? If you are thinking of using a standee in an event, exhibition or trade show it is critical to select an appropriate image or design that reflects your brand. To make your promo more exciting, you may want to add special offers. Here, Moccona used a promotional coffee cup as a promo gift. Know your objective – a retail standee has lots of applications from helping improve in-store performance, to raising awareness for upcoming events to creating entertaining adverts for trade shows. They can also be used indoors and outdoors. Knowing how and where you will use this for will greatly help you in designing your stand up display. Designing– Marketing managers have lots of options when designing a retail standee. This means you can make your standee as elaborate or as simple as you want it to be. Materials can also vary for 2D and 3D designs and for outdoor and indoor displays. Speak with our Mindsparkz team to better understand the design process and what materials will best suit your project. 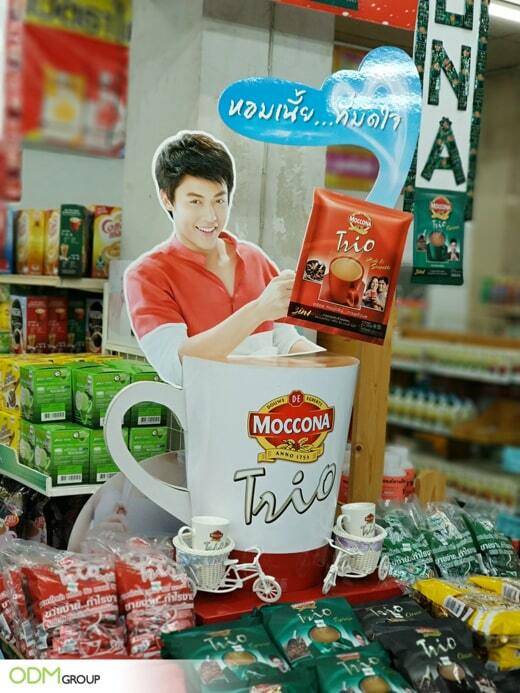 Location: What is great with using a retail standee is that you can put it wherever you want. You can place them outside your shop or along the aisle of department stores. Placing them in high foot traffic area is key in gaining visibility. Like this idea? We can help you build success with ODM. CONTACT US today to know more about how we can help with designing and manufacturing your own retail display standee. What can you say about Moccona’s custom coffee mug? Stand up displays are versatile, easy to customize, and economical. Learn why you need it for your business. Extra large bottle cradle as Dewanli’s in-store display shows how good design and brand positioning can give brands competitive advantage.